February has gone quickly! It think that's partly due to the spring-like temperatures we're experiencing in southeastern Pennsylvania. The nice weather certainly makes me want to get out and about more. 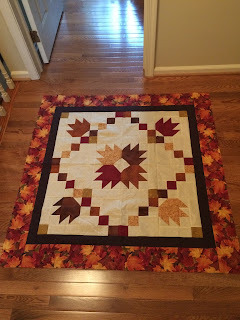 When I was home, I stuck to my One Monthly Goal of getting the Leaf Chain top pieced. It won't be quilted until I've taken a class on how to use my embroidering machine for quilting. That's not until the end of May, but I have lots of time to get this done in time for next fall. 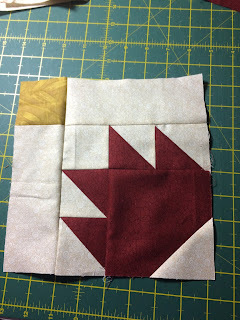 Linking up with OMG at elmstreetquilts.blogspot.com Go see what everyone else has accomplished this month!